By now just about everyone in the diagnostics world is aware of the astonishing rise and fall of Theranos, the company launched by Stanford drop-out Elizabeth Holmes. At the height of its reputation, Theranos had acquired some $700 million in total investment and was worth an estimated $10 billion – more than Uber or Air BnB. Today, not so much. “Zero” is the round number estimate of Pulitzer prize-winner John Carreyrou, the Wall Street Journal investigative reporter who stunningly broke major concerns regarding the firm’s technology in 2015. 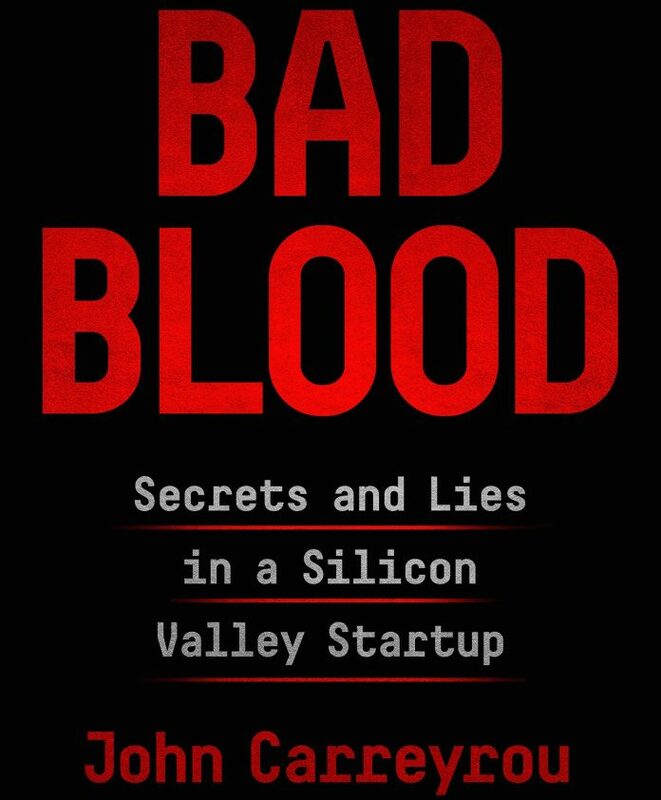 In his riveting new book Bad Blood, Carreyrou lays out the tumultuous journey of Theranos from Silicon Valley darling to poster child for corporate secrecy, bullying and mismanagement – if not outright fraud. Bad Blood surges with the pace and paranoia of an espionage thriller – not surprisingly, it is destined for the big screen, with Oscar winner Jennifer Lawrence primed for a starring role she can really sink her teeth into. From the moment Carreyrou drops the needle on this story, there is absolutely no let up. From the company’s early years (it was founded in 2003), staffers who raised questions about the firm’s technology or marketing were shown the door. Only in the short epilogue, with Theranos facing federal charges and potential bankruptcy, does Carreyrou take a pause to look up and consider some broader context for the head-shaking drama he documents so meticulously. The rise of Theranos was absolutely staggering in retrospect: Holmes was charismatic, ambitious and very smart, although not an engineer or scientist by training. And yet she was able to attract hundreds of millions of dollars in investment from the likes of Larry Ellison, Betsy Devos’ family, New England Patriots owner Robert Kraft, and more than $100 million from Wall Street Journal owner Rupert Murdoch (interestingly, there is no evidence that Murdoch sought to interfere in Carreyrou’s investigation.) The Theranos Board of Directors resembled a Cabinet meeting, including George Shultz, Henry Kissinger, James Mattis, but virtually no corporation or medical expertise. The media made Holmes a star in her own right, seduced by her image, poise and the life-saving mission. Holmes modeled herself on Steve Jobs, from dress to security detail. Bulletproof glass was installed in her office, and even her trademark deep register, Carreyrou claims, was put on for effect. The company signed deals with Walgreens to put its technology into the high-street and claimed a partnership with the U.S. military as well as leading academic institutions such as Johns Hopkins. One of the biggest takeaways from Bad Blood is the bravery of several former scientists and whistleblowers at the company, as well as nurses and physicians who deployed the test. It took immense courage to raise concerns with regulators and the press. Many were fearful of Sunny Balwani, the company president, chief enforcer, and Holmes’ ex-partner. Theranos is hardly the first Silicon Valley company that couldn’t live up to the hype and it won’t be the last. But as more and more patients received untrustworthy results, the potential health risks loomed larger. Patients and their doctors were receiving alarming contradictory results, causing distress and major expense in retesting and hospital visits. That no serious medical harm was done is something of a miracle. Carreyrou himself doesn’t make an entrance into the book until the fourth quarter. As his detailed reporting gathered momentum, he faced pushback from the Theranos legal dream team. In a scene reminiscent of the film Erin Brockovich, Carreyrou and two colleagues square off in a Journal conference room with Boies and a deep bench of attorneys looking to squash the story. “We do not consent to your publication of our trade secrets,” one attorney snapped. “We do not consent to waiving our journalistic privileges,” Carreyrou countered. By the time his first report was published in the Journal, the writing for Theranos was well and truly on the wall.